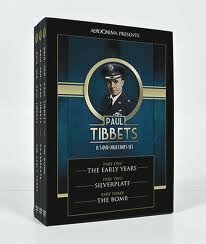 Paul Tibbets, second video in our series of "Famous Pilot" interviews. Again produced by Aero Cinema - Paul Tibbets tells his incredible experiences of World War II. This is also a totally unique video and was recorded over the years by a friend of Paul Tibbets.